GK Esport - nice template for creating an online store from the studio GavickPro. 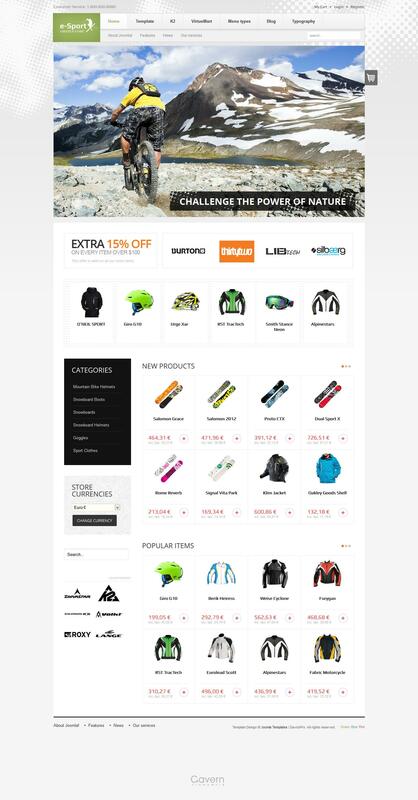 Template is fully compatible VirtueMart (e-commerce component) and component K2. In the template also includes several additional enhancements News Show Pro GK4, Tabs Module and Image Show GK4, which are intended for display materials and images to them. Design template also perfect for creating different types of sites.